Courtney Meder works at her family’s business, Pure & Secure (home of the original Pure Water Distillers) in Lincoln, Nebraska. She and her family have dedicated their lives to spreading awareness about toxins in the water supply and how distillation is the best way for a family to protect their loved ones from these harmful toxins. They are committed to purity and quality and truly believe there is no compromise when it comes to one’s health. Caryn: I’m Caryn Hartglass, you are listening to It’s All About Food, thank you for joining me today and we’re going to move on to the next part. But first I wanted to remind you of I’m the founder of Responsible Eating And Living and our website is ResponsibleEatingAndLiving.com and I’m continually adding new recipes. We have over 200 right now – healthy and delicious plant-based recipes, to help you transition to a healthier diet or just give you some more variety. I’m always coming up with all kinds of interesting, colorful, beautiful, delicious foods for you to try. I hope you visit ResponsibleEatingAndLiving.com. What we were just talking about in the last segment, this idea of love being so important. I really really believe that. It’s so important for us to love ourselves in order to have health. I went through my own personal health crisis when I’ve got diagnosed with the advanced ovarian cancer six years ago. I did a lot of different things to get myself well and that meant improving my diet. I was already a pretty healthy vegan I thought, but I realized I needed to boost my immune system. I start adding more green foods and adds a number of different things to get myself well. But there’s that whole love concept and I’m fortunate. I am surrounded by some wonderful friends and family who gave me great support. But sometimes there are things that we don’t even realize are bothering us. Now some people have issues either from childhood or from one thing or another and the way they deal with the trauma or the abuse or the problem is to eat. That’s part of the reason why we have such an epidemic because there are people that are not happy. One of the ways to get well is to take responsibility and really start to love yourself. Now another important piece of this health equation is water. Our bodies are made up of mostly water and we needs water. Sometimes when people tell me that they’re not feeling well or they’re tired I ask them a few questions. Are you getting enough sleep? And are you getting enough water? And it’s got to be clean and pure. 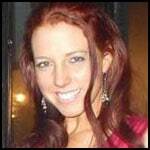 We’re going to be talking now with Courtney Meder. She works at her family’s business, Pure and Secure, home of the original pure water distillers in Lincoln Nebraska. She and her family have been dedicating their lives to spreading awareness about in the water supply and how does distillation is the best way for a family to protect their loved ones from these harmful toxins. They are committed purity and quality and truly believe there is no compromise when it comes to one’s health. Hello Courtney, welcome to It’s All About Food. Courtney: Hi there, thank you. Caryn: Thank you for joining me and let’s talk about water. Courtney: Before we get too far into distillation, I’d like to explore the reasons why it’s so important that we purify the water because I think people need to realize that the environment is changing. We use so many more chemicals and fertilizers and pesticides nowadays. This no doubt leads to more toxins in our water. Because of this researchers are beginning to correlate this contamination to be increased in various cancers and degenerative diseases. Caryn: Absolutely. I think tap water is really important. It’s important that we all have access to water. Even if the water is coming from a source that’s relatively clean just moving along in those pipes, we don’t know what is getting into our water. Courtney: Exactly. That’s a good point because even if its treated at a water mentality if you are lucky enough to be on city water, it does need to travel through pipes to get to your house. Many of those are lead and who knows what it picks up along the way? I think the most shocking thing to me, and I still have a hard time wrapping my brain around this, but, the EPA says there are now over 85,000 contaminants in the water. Courtney: I know, it is truly mind-blowing. To be fair it is just not something that they can handle on a large scale. They do require testing for certain contaminants, just over 100. I think it was 113 last time I checked. WHat that still means is there is about 85,000 contaminants they don’t test for. Just because it passes their test which they do so they can then call the water safe, it doesn’t mean it’s toxin-free. Caryn: Pretty crazy. It comes out of the tap, it looks clear and yet it can have 85,000 different things that are different from H2O. Courtney: It’s not meant to freak people out but it is important to be aware. Even the levels or even the contaminants they do test for, there are what they consider safe and and allowable levels of those contaminants. I personally have a hard time with that. I don’t believe there’s any safe amount of lead or arsenic or mercury that should be in my water. Caryn: Right. Okay, so let’s talk about the options. A lot of people go out and buy bottled water. Courtney: Yes, that’s becoming very popular. Caryn: I know that is bottled water is, let’s not even talk about the water itself, it’s a very environmentally unfriendly process. We use a lot of water, much, more water than actually gets in the bottle, to make the bottled water. Then there’s all the issues of the plastic leaching into the water etc. Courtney: There’s the petroleum used to make the bottles, the oil that they use to transport them, like you said, the plastic leaching in, maybe it’s stored in a hot warehouse, that’s something to be concerned about too. The Environmental Working Group had been several studies on the quality of the water that’s bottled. They found over a quarter of them is actually tap water anyway. It really is not a long term solution to the problem. Caryn: A lot of people go for the Brita filter, they put it in their refrigerator and pour the water in and they think it is doing a good job. It tastes better. Courtney: It does taste better, I agree with that. Filters do an okay job, they will get certain contaminants. Their best day is the first day. Their effectiveness declines over time. That’s important to realize. They all deteriorate and need constant replacement. Same thing with RO systems, reverse osmosis. They’re basically a series of membranes, water gets pumped through those. They do the household systems, waste water to treat the water so that the environmental problem there. But they are also a series of filters that need replacement. The biggest problem is people remembering to do the replacement and then actually doing it. Caryn: Okay so let’s talk about the distillation. Ding! Ding! Ding! Ding! Courtney: Yes, that is what we do. Caryn: That’s what I do too. Courtney: That’s wonderful. I was really glad to hear that. 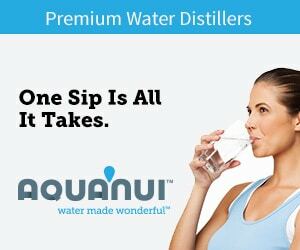 We have customers who have had their distillers for 30 and 40 year and they’re getting a game high purity water now as they did 30 and 40 years. They are getting the same high purity water now that they did 30 and 40 years ago. It truly is an amazing process and the results are consistent and reliable. For those of you who don’t know what distillation is we are actually just mimicking the nature’s cycle of purifying water, because we don’t get any new water on the planet. The water we use today is what was here when dinosaurs were here and what our ancestors used. It keeps getting recycled. Nature’s process the hydrologic cycle, is to heat up the water, the sun beating down on the ocean would do this. The water evaporates, condenses and then comes down as rain. If there were no air pollution, rainwater would be pure. What we do inside the distiller is the very same process. We are heating it, it comes to a boil, and then the steam that rises is what we’re capturing inside another chamber. This is a full spectrum type of solution. By that I mean it is does take care of all types of contaminants. As you know, there is biological, those will get killed in the boiling process and left behind. There are inorganics, organics, things like petroleum, carbon based chemicals and also even radioactive. We did some testing last year after Fukushima I we’re very impressed with the results, very high reduction of radioactive. Caryn: I just know from my own personal experience, distilling water every day, just seeing what’s left in the stainless steel reservoir, that was removed from one day. One gallon of water there’s only like certain murky luckiness. Courtney: Isn’t that amazing. We seen of course from distillers that have been all across the nation and all the various contaminants, and it’s shocking. It can be brown and gunky and smell terribly. It can be white and chalky. You just never now because it’s whatever is taken out of water. That’s very cool, you get to see what your body is not having to process. Caryn: And unlike the other system you don’t have to buy a new filter array or replace your membranes, you just occasionally clean the inside of the stainless container. But every time you distill the steam that comes off is just water. Courtney: There are, I will mention, that have a boiling point low than water that can evaporate with the steam. We’ve got a unique vented system in our distillers to take care of that and some do use a carbon filter after that. Caryn: What are those things that are leftover, that go with the steam? Courtney: They call them VOC’s, volatile organic compounds. Caryn: Oh sure. The things that are in our paints that we don’t want to have. Courtney: There you go. Those things will evaporate off with the steam and be trapped by the carbon in the filter if they do condense down. It’s a very fail-safe process. Caryn: I’m a believer in distillation but some people have had questions and concerns. One is that the pH of the water tends to be on the acidic side when you distill and the question is, is that a problem? Courtney: Distilled water actually has a neutral pH. As it is exposed to air is when it can go slightly acidic. It’s really nothing to be concerned about. Your kidneys inside your body are constantly regulating the pH within your body. It has the opposite effect of what people would think – if you drink alkaline water for example I know that’s become very popular nowadays, your kidneys will release more acid into your stomach to neutralize it. It is always trying to achieve a balance. Caryn: I’m glad you brought that up. Hold that thought because we have a caller Rachel in Florida who wants to talk about minerals,. Hi Rachel, welcome to It’s All About Food. Rachel: Hi. I am enjoying your program and I used to distill myself. I saw all yuck that was left behind in the stainless steel. And I wish that there was an ideal way of artificially, that sounds strange – but with the natural process. what happens when it rains, is that rain goes down to through the earth into the aquifer and it’s is my understanding along the way it picks up minerals. That’s not duplicated in the distillation process. What should we do about that? Courtney: The minerals found in water are those of the inorganic form and are not actually a form that our body can use for nourishment. They actually need to be absorbed by plants throughout the soil, and then they go through photosynthesis and convert them into organic minerals. That’s the reason we need to get our our minerals from our diet, and if that’s not possible, through supplements. I know there are people that put trace minerals back into their water. I personally don’t. But if they want to I would much rather they distill and get pure water to begin with and then add back in whatever you feel you need to add in. Rachel: Well what I found out when I was distilling water, I ended up with mineral deficiencies I didn’t have before. I don’t understand it as I heard the same thing that Courtney said before. Caryn: I think a lot of people have mineral deficiencies. We don’t really know, well we have some ideas of what the cause is but it’s nutritional, absolutely. I green juice everyday. I put in celery and dark leafy green vegetables and I know I’m getting a lot of minerals and great nutrition from that. Rachel: And don’t forget watercress. Caryn: Watercress is one of my favorites! Thank you Rachel. I wanted to say,think I actually do add some minerals back to my water but I use it only for the water that I’m drinking, as a cold water. I bottle some of it in and then just drink it. And then the other water for cooking and tea and others I don’t re-mineralize that, I just like the taste. Rachel: I agree, the minerals, we did that for a while we were still using the distiller. At this point in time we have to keep close track because we have been using reverse osmosis but not a home system. Here where we live we have a chain of grocery stores, several changes that have machines and we keep an eye on a dates to see when they last maintained the machine. We do it by taste, you can tell if they haven’t been doing their job. Those were my thoughts. Caryn: I appreciate your comments Rachel and thanks for listening. You know, Courtney, one of the reasons why I found you is because I have distiller, I’ve had it for a few years and it’s not made in the United States, I got it, I had had another distiller before this that I had for about eight years or something. And that crashed and I was in a panic. I needed a new one. I got it really fast, it was cheap. Now in hindsight I’m regretting all of that because I want to number one buy American as often as I can. But also the quality of this thing that I have is not very good. Courtney: Is it the little counter top unit you have? Caryn: Yes, it’s the 1 gallon counter top unit. Courtney: Well one thing too, as far as the design difference between our counter top unit and any others that I have seen on the market, ours do not boil dry. After each batch, you will actually have some water left behind in the boiling tank. This is to keep the heating element submerged so that it does not exceed 212°inside the boiling tank. Because what happens when it boils dry and there’s nothing left to boil it heats up very fast and can burn off contaminants that are meant to be left behind and can affect the purity of your distilled water. For that reason, we leave water behind it often makes maintenance a lot easier. You are not taking that residue every time. Your heating elements will last longer. It also makes it safer to use. I know there’s been a recall on some of those others at one point for a safety hazard. There’s a lot of thought that goes in, we are going into our 45th year next year. We’ve done a lot of design improvements along the way. We incorporate feedback that we get from customers and we continue to make good solid American products that people are happy with. Caryn: And what about the importance of water and babies and children? Courtney: Very important, I’m glad you brought that up. Babies and children drink more water for their weight than adults do. Toxins build up faster. Also because their immune systems are less developed they are more susceptible to the contamination. A lot of different contaminants, lead for example has been linked to learning disorders. It’s very important for pregnant and nursing women as well as young babies and children to be on toxin free water. Also elderly and those that are facing cancer, anywhere where you are more susceptible to disease, which to me makes sense. Why wait for something like that to happens, why not do it for health and wellness? Caryn: It’s unfortunate but there is so many things in the world that we test relative to an adult, and sometimes an adult male, it’s only recently that we stared including adult females in the medical equation for testing. And we don’t test or come up with levels for children. Clearly children are affected so much more by so many things, by contamination. And they get it very often from water. Courtney: It’s up to us to really take control of what we putting into our bodies and for our families too. Caryn: I am on your mailing list and I recently got an e-mail about a new product, I think that you have it’s like some sort of gravity… it’s a distillation setup that doesn’t use electricity. Caryn: Yeah – can you talk about that a little? Especially since we just went through this hurricane here in New York and I have a feeling that things are going to be happening more often. Courtney: And the best thing, of course that you can do to prepare for emergencies, is to be prepared ahead of time. The problem a lot of times when you encounter flooding in situation like that, you’re getting raw sewage and I know there were super fund pollution sites that were flooded during the hurricane. So there’s a lot of increased chemicals, and sewage in the water. A lot of time the bottle water is sold out in the store, so to have something of your own that you can use in times like that does not use electricity. ANd mind you, I am going to refer you to his website because because I don’t know too much about it. Go to survivalskill.com he tells you all about it. It’s a system that you can have on hand and hopefully never use it, that would be the best thing. If you need to, it’s all stainless steel and it will last a lifetime. That’s a good option to protect your family. Cayrn: Right. And your main website is mypurewater.com and people can sign up and get newsletters there and read your blog posts from time to time. Caryn: I use the small size, the one gallon size but you’ve got a range of products for different needs, can you talk a little bit about what people can get. Courtney: We have more automated systems you can get plumbed into the home. It really s just for consumable use. But that entails a whole range of things: teas and coffees, for cooking soups and baking, ice cubes and can’t forget the pets. If you have a family of three or more we usually recommend you getting into an automatic machine. As you use the water it will automatically fill up the distiller and distill more for you. It’s very convenient. You can even get it pumped to a faucet at your sink, and into your fridge. Caryn: I know I just wanted to make a disclaimer here – I have not made any kind of arrangement here to profit from this company. I have not been able to use your product I just found it because I was looking for American-made. But I’m thinking this is something that will probably become more popular over time. Some people get their water delivered and there’s an expense involved. I personally think it’s important to use our tap water if we have access to public water, let our government, our local governments know that we want good water. If everybody started buying water there might not be this need for tap water, or this perceived lack of need, and I don’t want that to go away. Tap water is really important. Courtney: Oh yes, I agree. Caryn: Okay, Courtney, thank you so much for joining me on It’s All About Food. Checkout mypurewater.com and I wish you all the best with your products. Thank you for keeping our water clean and pure. Courtney: I appreciate it, thank you. Caryn: I’m Caryn Hartglass, and you’re listening to It’s All About Food. Please remember if you have comments or questions to send me an e-mail at info@realmeals.org. I love to hear from you and get your comments. Thanks for joining me and have a really delicious week.